This model is 188 cm and wears a size M/M. Their chest measures 99 cm and the waist 81 cm. 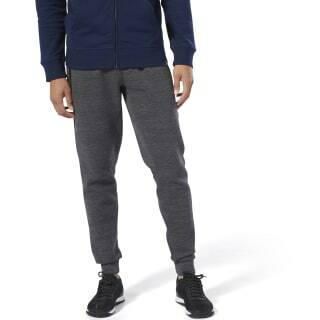 When the alarm goes off, throw on these men's joggers and make it to that early morning WOD in warm comfort. 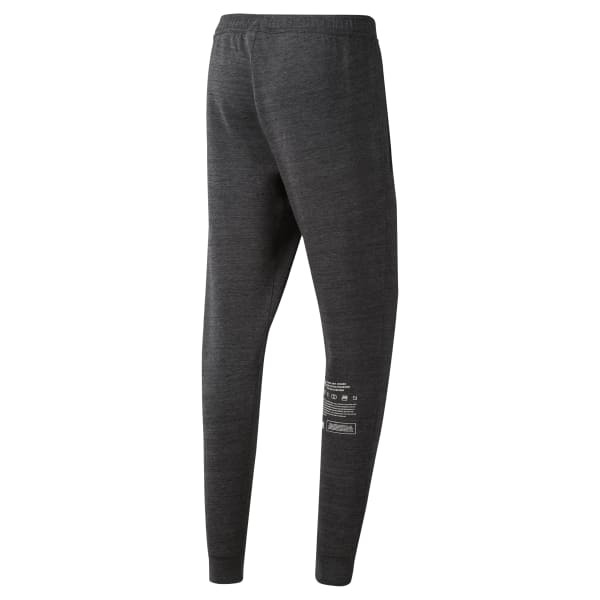 The pants are made of cotton-blend knit fabric and have handy zip pockets. The slim fit gives them street-ready style.